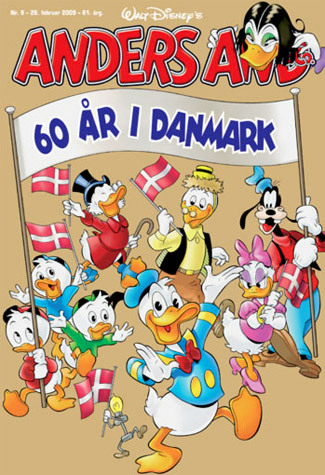 Denmark’s Donald Duck weekly Anders And & Co, which was launched in March 1948, turns 60-years-old this month! The popular magazine celebrated its anniversary with a golden cover of the 9th issue and a special competition. 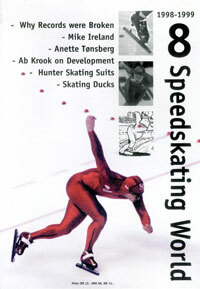 In 1998, Disney comic book writer and illustrator Don Rosa drew a story about speedskating for Dutch (but English-language) magazine Speedskating World. 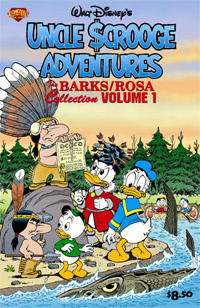 The story is titled The Annual Speedskating Race of the Burg of Ducks and was written by Norwegian professor of mathematical statistics at the University of Oslo, Nils Lid Hjort, who is also a Disney comics fan and has edited two books with the works of Don Rosa. Amazon currently has a 4-for-3 promotion on books under $10. This is your chance to get a great deal on Gemstone’s Uncle Scrooge and Walt Disney’s Comics and Stories issues. These comics normally sell for $7.99 but with this promotion you can get them for $6 each (if you buy 4). And shipping within the United States is free on orders over $25 with Amazon’s Super Saver Shipping. It was recently announced that Gemstone Publishing is in trouble due to unpaid bills, so the future of Disney comics in the United States is uncertain. The last issues that came out were Uncle Scrooge 383 and WDC&S 698 in November 2008 and these may very well be the last American Disney comics for a while. Amazon still has many of these great Gemstone comics in stock. Buy any 4 eligible items and get the lowest-priced item free. Check it out. Bad news from Gemstone Publishing, the publisher of Disney comics in the United States and the only publisher in the world that still publishes English-language Disney comics that are easily available. The economic recession has hit the Baltimore-based publisher hard as it is being sued for unpaid bills. Creditors Trade Association is suing Gemstone, Diamond and owner Steve Geppi for $373,000 on behalf of Global Interprint, which is the print broker for many of Gemstone's deluxe editions such as the EC Archives. Gemstone owes the large sum for printing bills that were run up between December 2007 and September 2008. Ankkalinnan Pamaus, a Finnish fanzine about Disney comics, has published an English version of their magazine this month to celebrate its 10th anniversary. 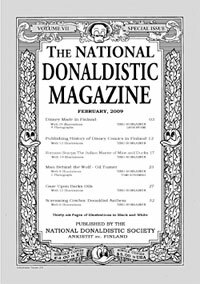 The February 2009 issue, titled National Donaldistic Magazine on a cover that looks like an issue of National Geographic Magazine, features 36 pages of information on Disney comics in Finland and various Disney comics authors. There are articles on the Italian artist Romano Scarpo, Li’l Bad Wolf-artist Gil Turner, Disney comics legend Carl Barks and more. The special issue can be ordered online and costs only $6.90 to the USA or €5.35 to Europe including shipping. This is a unique chance for people outside Finland to read about Disney comics in another country. I’m looking forward to receive my copy. Comic books as an art form are finally getting the recognition they deserve at the most famous and prestigious museum in the world. 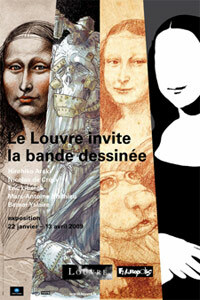 Starting this week, the Sully wing at the Louvre in Paris is home to a special exhibit for comic book fans titled Le Louvre invite la bande dessinée (‘The Louvre invites comic strip art’). Mona Lisa will get some company in the form of Asterix & Obelix, Tin Tin, and many other popular French comic book characters. 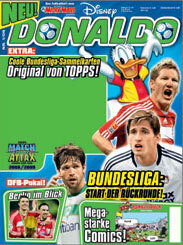 On January 22nd, Ehapa Verlag, publisher of Disney comics in Germany, is launching a new soccer Disney magazine titled Donaldo. The bi-monthly magazine will feature football-themed comic stories as well as news reports from the Champions League and Bundlesliga soccer championships, posters and activities. The 52-page magazine is targeted at 7 to 10-year-old kids and will sell for €2,80. The first issue will have a print-run of 110,000 copies. Boom! Studios in the United States is getting ready to release three new titles based on Disney franchises. They are Pixar’s Cars, Pixar’s The Incredibles and The Muppet Show. The first issues of these new series will hit newsstands on March 25th. Disney Publishing Worldwide and Boom! Studios announced in July last year that they are collaborating on new comics with characters from Toy Story, Finding Nemo, The Incredibles and WALL-E, so look out for more titles coming in the future. You can pre-order these titles on MailOrderComics.com. The first issue of the new The Incredibles series is available in four different covers!